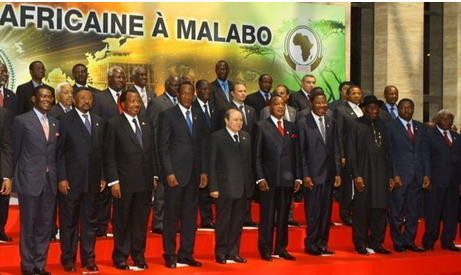 heads of States, members of the African Union (AU), at their summit on 26 to June 27, 2014, in Malabo, Equatorial Guinea. For a long time, we have constantly bemoaned judicial accountability worn by African heads of States who commit or who have committed crimes of genocide, war crimes, crimes against humanity, after being unable to protect civilian populations. The project created as a result of the meeting to establish the African Court of Justice and Human Rights by the African Union is a result of their relentless search encouraging impunity. This act delays the efforts already made in the fight against impunity. “Unable to benefit from protection and justice from the African governments, civilian populations, meanwhile, are victims for the second time,” said Victor AMISI, Executive Director of Vision GRAM-International. Vision GRAM-International remains concerned by the attitude of the leaders of African governments who want to protect themselves first, if they violate the human rights, which is a strong signal to encourage impunity. Vision GRAM-International wishes to remind African States that they are members of the International Criminal Court, because they have accepted responsibility for international justice and the fight against impunity. Anyone who is responsible for violations of war crimes, crimes against humanity and genocide will not escape justice.